IXIGO recently launched an Android app that allows travelers to easily and “auto-magically” track the status of their Flight or Train bookings on their mobiles. Prima Facie, the Ixigo android app comes across quite polished and well designed. The app supports tracking of Indian Railway (IRCTC) Train PNR & Status as well as ex-India Flights PNR & Status. 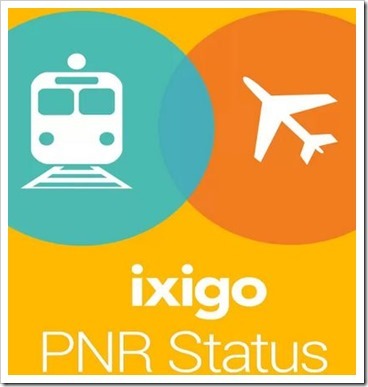 Ixigo has also included intelligence into the app, where-in, users do not need to remember the PNR numbers – The app reads your SMS for any Ticket booking or travel related SMS that arrive on your phones and shows the status of your flight or train. In addition to this the app also offers real-time notification of any changes in the reservations or delays in the trains and flights. So, if you get an alert on your phone for changes in booking status (e.g. going from Waitlisted to Confirmed), train status (Train delays and cancellations), flight status (flight delays) it will accordingly make changes and show you the new status and schedule. The Ixigo app also has a reminder facility that reminds you when the flight web check-ins are open. Overall, the app comes across quite intuitive and something that really helps travelers to view, track and manage their trip status. We decided to give it a try and came in for a surprise. We checked one of the PNR status on a flight that was booked from Chennai to Trivandrum. When we put the PNR number, here is what the IXIGO app threw at us. 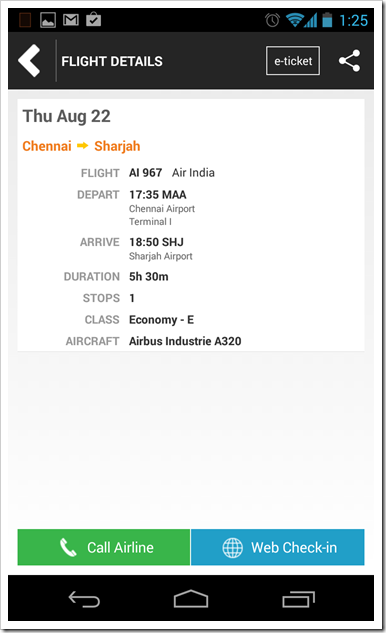 For a flight that was supposed to show details about flight from Chennai to Trivandrum – The PNR status showed that it was for an international flight from Chennai to Sharjah, which completely wrong. Not only that, closer look at the status reveals that while the duration of this flight is shown 5 hrs and 30 minutes, the difference between departure time ( 17:35) and arrival time (18:50) is 1 hour and 25 minutes. This is the actual duration for a flight between Chennai and Trivandrum. While the app is still in beta, this is quite a serious gaffe and something that might seriously hurt a real traveler. IXIGO needs to look into this on priority – They probably need to do more testing before they bring a faulty app in the market. Having said that, it might be that Air India itself may have given wrong information to IXIGO in which case it may not be a fault of IXIGO at all. We found yet another interesting thing – When you type ixigo.com in your browser, the homepage that’s get loaded is from Ixigo’s Dutch / German site – ixigo.de. There seems to be some problem with their IP identification, as an Indian visitor needs to be shown the english version and not the german one. Here is the site that gets loaded in my case. Do visit ixigo.com and let us know what is presented to you! Thanks for pointing out the issue with our PNR Status Tracker App. As you rightly pointed out, the app is still in beta, and some of the edges are still unpolished. We’ll be updating the app soon to fix these issues. 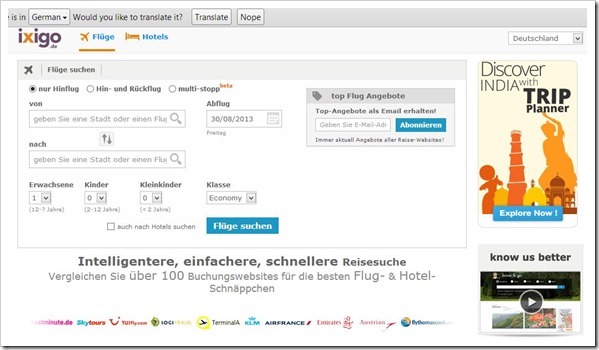 As for the ixigo.de redirect, this is an unheard of issue. You were probably accessing ixigo last time from a german ip or from germany. Clear your cookies and try again from an Indian IP. This was fixed within 24 hours of your bringing it to our notice. Thanks a lot Arun.